In the recent case of Martin v Martin  EWCA Civ 2866,  All ER (D) 08 (Jan), the Court of Appeal has reiterated guidance as to the approach to be taken when valuing shares in a private company for the purpose of dividing assets on divorce. In the case, the assets included shares in a company that the husband had founded before the parties had met. By the time of the divorce in 2017, the husband’s shares in the company were worth around £160m, being a very significant portion of the total net £182m wealth. The court confirmed that the basis on which shares in a private company will be valued will vary depending on the specific facts of a case. The court has various powers when dealing with company shares, including the power to order that private company shares be sold, but otherwise it can either fix a value or divide company assets between the parties. When fixing a value and/or dividing private company share assets between parties, the court is required to consider the risk and liquidity of assets in order to achieve a fair balance of risk and illiquidity between the parties, in accordance with the sharing principle and in order to ensure fairness. The fact that different assets have different levels of risk will be taken into account by the court when dividing assets on divorce in accordance with the sharing principle. 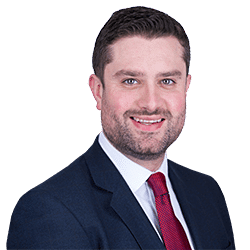 Values of private companies should be treated with caution (Versteegh v Versteegh  EWCA Civ 1050), and even if a court fixes a value, that value may not have the same weight as the values of other assets. There is no set formula that can be applied to assess the weight to be placed on the value of a particular asset, but the judge will be required to undertake an evaluative exercised based on all of the evidence. The Court of Appeal was also asked to consider to what extent the husband’s company (founded before the marriage) was a non-marital asset. Again, the court confirmed that it was obliged to consider fairness and, whilst it was required to evaluate on the basis of all of the evidence whether the asset was non-marital, it still had discretion to apply weight as it saw fit in order to achieve fairness. It was held that 80% of the husband’s business was marital property, based upon a straight line apportionment to the value from the date when the business was first incorporated to the date of the hearing. The wife received 50% of the £146m marital wealth. The wife’s award included non-business assets of £53.7m, and shares in the husband’s company worth £19.2m. The husband retained non-business assets worth £18.4m and shares in his company worth £90.6m. The case is a useful reminder that the court will have ultimate discretion when dividing assets on divorce and attributing weight to the values of assets, guided by fundamental principles of sharing, needs and fairness. If you require family law advice and would like to get in touch with one of our expert family law solicitors, please get in touch online or call us on 0800 652 8025. We advise and act for client from our offices in Birmingham, Bristol, Cardiff, London, Manchester, Southampton and Taunton. Chris provides advice on complex financial cases; often involving business interests, trusts, children, foreign assets and pensions. 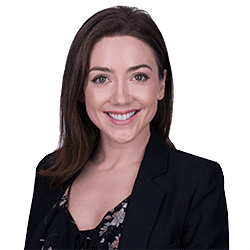 Emily is a Solicitor in Clarke Willmott’s Manchester Divorce and Family Law team.